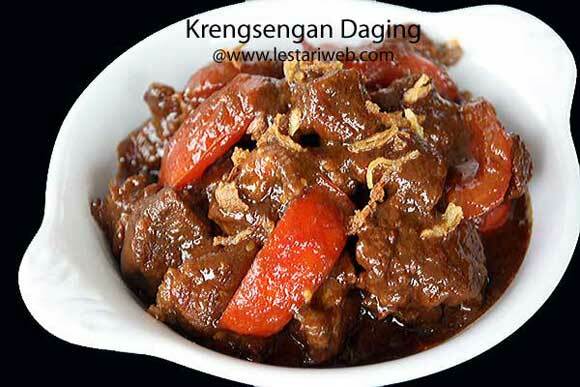 If you have no problem with the smell of shrimp paste ;-), you can try this Surabaya's specialty : "Krengsengan Daging" or Beef cooked in Shrimp Paste Sauce. In his hometown, this dish is usually cooked with 2 mainly ingredients : beef or lamb. 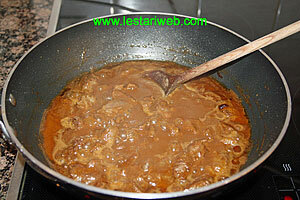 It tastes deliciously sweet & spicy, a unique combination of kecap manis, chili & wet shrimp paste. Another variant of Indonesian's spice mixture, typical Surabaya culinary's style. Note : If you don't like meat & lamb, you can also replace them with chicken, duck, liver etc. Cut the beef into smaller pieces (as your preference). 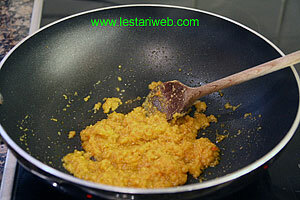 Blend all ingredients for the spice paste in a blender or food processor until smooth. (If necessery add a little bit oil to help the blending process). Heat 3 tbsp oil in a wok or shallow pan. (Don't add oil if already added in a blender). 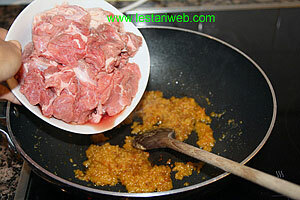 Stir fry the paste over medium heat until well cooked & fragrant. (approx. 6-10 minutes). Stir frequently. 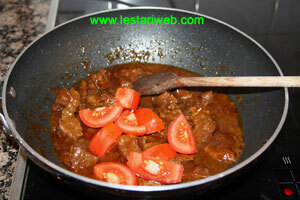 Add the beef, stir all the time until the beef colour turns to white. Add the hot water *** and stir to mix. 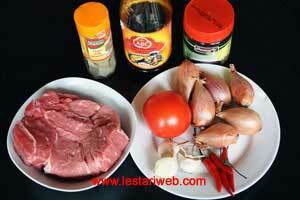 Add the wet shrimp paste& kecap manis. Stir to mix. 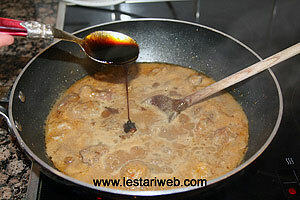 Simmer slowly over low-medium heat until the water is absorbed and the beef becomes tender (takes about. 25 minutes). Stir occasionally. Adjust the seasoning, add salt & sugar to taste. Serve hot. At the end add the sliced tomato, cook briefly until just wilted. 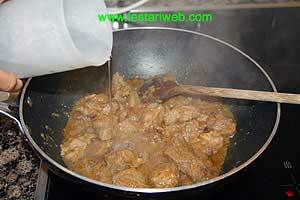 *** Add the boiled /hot water into the meat then cook on the medium heat to preserve it's best taste. .
Be careful by adding salt. 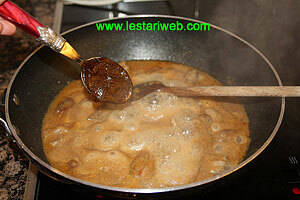 Wet shrimp paste might contains lot of salt, therefore adding salt sometimes is not necessary.